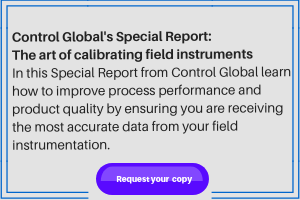 ControlGlobal.com's Off-site Insights Blog by Digital Engagement Manager Amanda Del Buono offers a break from our normal process automation control coverage to take a look at how the technology you use at work is utilized in so many other unique and innovative ways across other industries and throughout our everyday world. As a millennial, I lived through the evolution of cell phones that took place in during the ‘90s and early 2000s. From the flip phone, to the sliders, and I even had one that was a phone on one side and an MP3 player on the other (Samsung’s m620 Upstage, if you want to do a quick search). As manufacturers experimented with phone styles, I was always excited to get the newest thing, but my dad would always warn me, “the more moving parts there are, the more likely it will break.” As usual, he was right. Now, with my iPhone, there’s no flipping, sliding or other manipulation, and unless I drop it, it’s generally low-maintenance and isn’t likely to break. I think it’s safe to say that my dad’s theory can apply to more than just cell phones. The more moving parts that can wear or get damaged, the more maintenance any mechanical item requires. When it comes to micro pumps, maintenance isn’t exactly easy. Looking for a way to eliminate the moving parts, thus reducing the required maintenance, researchers at the University of Houston (UH), along with researchers from University of Electronic Science and Technology of China, Henan University of Engineering, and Purdue University, developed a potential solution using light to drive liquid flow. Kever reports that the researchers fabricated a quartz substrate implanted with 1016 gold atoms per square centimeter. Then, a pulsed laser was targeted at the plate, causing the gold nanoparticles to generate an ultrasonic wave, which resulted in fluid movement via acoustic streaming. This new research was based on the optofluidics principle discovered and reported in 2017 by the lab of Jiming Bao, associate professor of electrical and computer engineering at UH and lead author on the paper, Kever reports. The researchers say this is just the beginning, as they’re still unclear about the how and why they’re able to drive flow in this manner, Kever reports. “We need to understand the science better in order to develop the potential of its unforeseeable applications,” said Wei-Kan Chu, a physicist and project leader at the Texas Center for Superconductivity at UH, in the article. Although the researchers developed this technology to solve problems with small mechanical pumps, I hope the application could grow, literally. I might have an overactive imagination, but maybe one day, industrial operations will transition from today’s pumps to a larger-scale version of what these researchers have created.